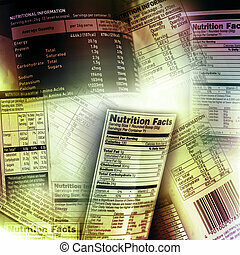 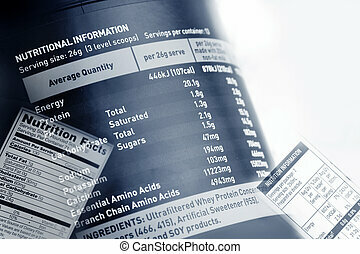 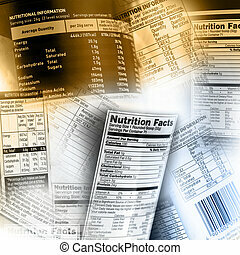 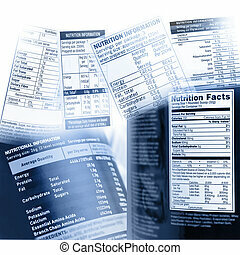 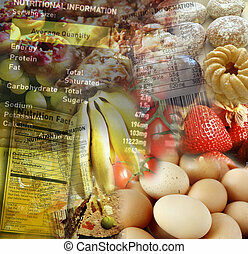 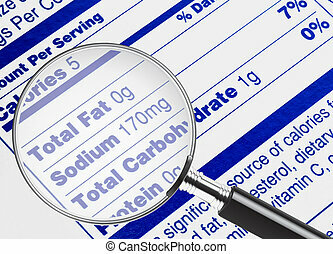 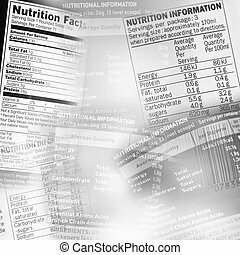 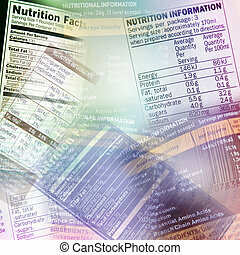 Nutrition information being studied under a magnifying glass. 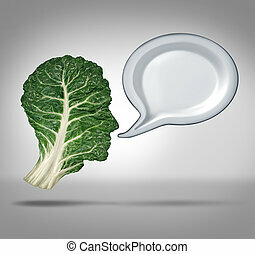 Nutrition information and food facts concept as a green leafy vegetable shaped as a head communicating with a blank dinner plate shaped as a talk bubble as a symbol of healthy eating and dieting message. 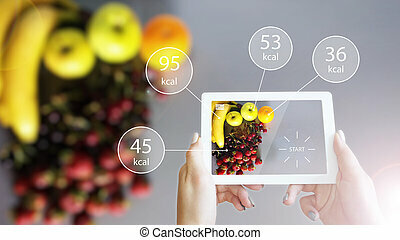 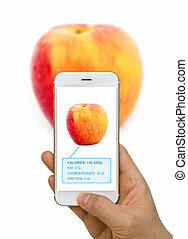 Smart device screen showing food, apple, nutrition information using augmented reality or AR technology. 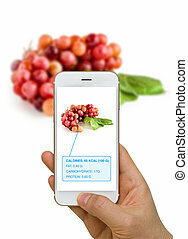 Smart device screen showing food, grape, nutrition information using augmented reality or AR technology. 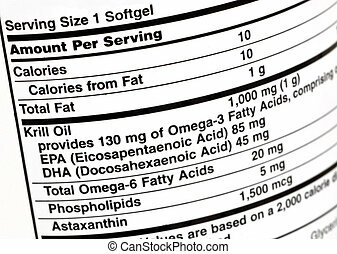 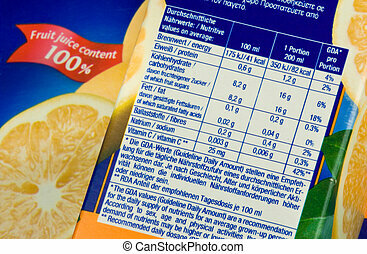 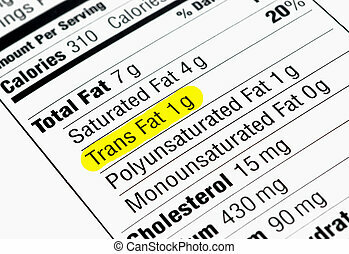 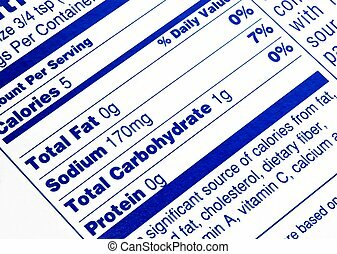 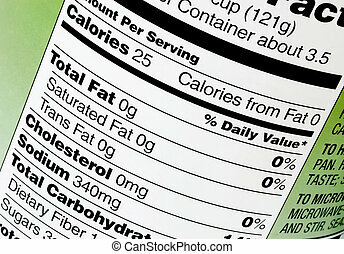 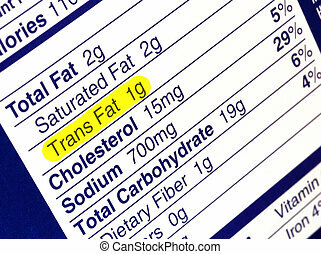 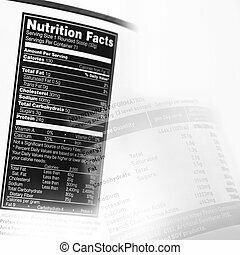 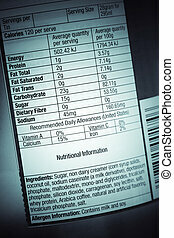 Nutrition label highlighting the unhealthy trans fats. 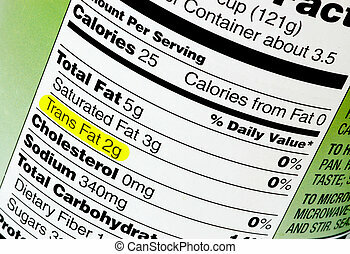 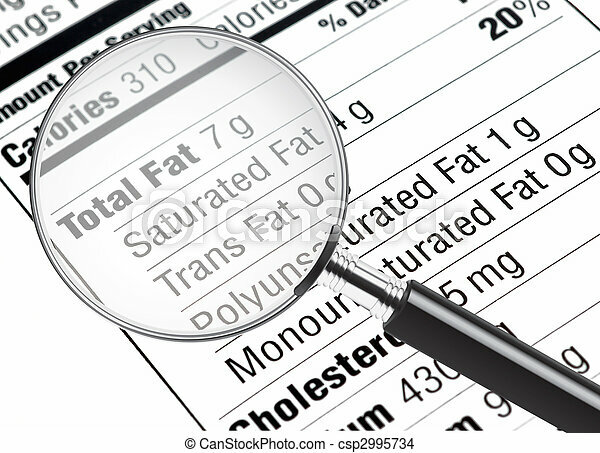 The Food and Drug Administration recently announced a plan to take artificial trans fats entirely out of the food supply industry.